If we hold personalized learning in such high regard, why shouldn’t we apply it to our professional conference experience as well? Are we not attending these conferences to learn? I attend more conferences than most educators, and I try to enjoy each to the fullest. 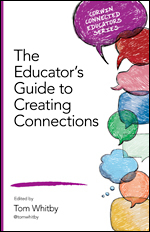 I also have an advantage over many educators attending these conferences in that I am a “connected educator.” I use Twitter, LinkedIn and many education Ning communities to reach out and connect with educators before a conference begins. It is not some privilege held by me alone. Any educator can do it, and everyone should. In my experience, when it comes to learning, personal relationships in sharing content offer much more to learners than the content alone. Any of the major conferences usually have established websites or create special conference websites for perspective attendees to join. Usually, there will be discussions on upcoming topics, or scheduled presentations. It also enables opportunities for connections with other attendees. By establishing these connections, experiences can be shared on methods, and strategies to effect the maximum potential for learning at a specific conference. ISTE13 established a conference Ning to do that. It was unfortunate that only a small number of the 20,000+ attendees took advantage of that site. The best way to pre-connect with folks is to use the power of Twitter. It is easy to put out a few tweets asking who will be attending, as well as identifying folks who have an ability to make recommendations based on their past experience. This is especially helpful for polling people experienced with a particular venue, which in this case was San Antonio. It certainly helps to get a heads-up on places to go and places to eat. Recommendations from other educators with like interests are most helpful in determining the best presenters on any given topic. On some topics it is not a question of what to look for, but rather, whom to look for. Some presenters may offer a perspective more in line with your interests. A recommendation goes a long way in finding the right presenters. Being forewarned is the best way to be forearmed against disappointment. Finding a presenter’s blog site is often a window to their soul as well. Of course the very best part of being connected at a conference is the ability to share out to others, mostly through Twitter, what the experience is like in a small way. I find that when I take on the responsibility of sharing with others, I tend to: listen a little closer, pay attention a little more, be a little more critical in my thinking, and overall, learn things a little better. The ability to share comes with the responsibility to get it right. It helps me as much as those, with whom I am sharing. 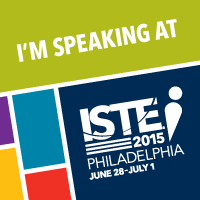 I found the ISTE13 conference to be the most connected of all the conferences I have attended over the year. The organization’s board contains many connected educators. What always baffles me at conferences is that the organizations stress connecting, but do little to promote it. They print programs with presenters’ names but no Twitter “handles.” They give everyone nametags, but again no nametags contain Twitter handles, unless the attendee uses a marker to add it. As educators, one would think that we would fully support that which we espouse. 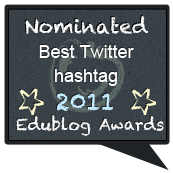 Twitter names in programs for all participants, as well as Twitter names on nametags would go a long, long way in validating connected educators, as well as providing the very means necessary to expand the growing network of connected educators. Of course the best way to personalize any learning at any conference is to walk up to someone and share ideas face to face. That is what I like best about being connected. The very people you meet with and share with virtually walk up in person for handshakes and hugs. The perception that social media restricts an ability to have meaningful connections is always proven wrong with each passing education conference. ISTE13 was no exception to this. I had a rare opportunity to experience a wonderful sharing of a meaningful, unselfish, insightful, reflective, and most enlightening, and personal keynote address at ISTE13 from my friend, Adam Bellow. I was also aware of his struggles with its creation over the last several months. I have come to believe that a thought not shared is simply a passing thought, but a thought shared is an idea. That was never more evident to me than it was yesterday as I experienced the closing ISTE13 Keynote address from Adam Bellow yesterday in San Antonio Texas. Adam shared with the thousands of educators in attendance what it means to be a connected educator. Before he did this however, he wove a story of his personal history as a kid growing up with a yearning for learning, and what that meant to him. He introduced us to his family, his motivations, his connections, his creations, and his ideas. 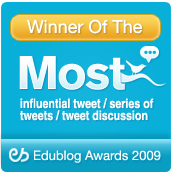 Adam validated what educators are doing globally with their connections. He managed to introduce many of his connections to the audience glued to the screen enthralled with the dazzling array of interactive slides and text underscoring and accenting every thought shared and explored. He managed to pump up the audience with a cadence so fast that there was little time to reflect before the next idea came streaming in. There were well over 300 slides in support of this cavalcade of ideas. 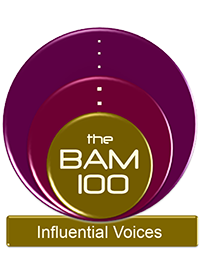 What I came away with was a profound commitment to continue to share ideas in spite of the roadblocks and side tracks of the detractors. There is power in connecting and sharing. As educators we need to harness that power not to control kids, but to teach them and learn alongside of them. I do not feel I was alone in my adoration of this keynote presentation. I was not the only educator moved to tears and laughter. I was not the only educator to feel validated in my efforts to connect and share. The five-minute standing ovation as well as the lengthy line of well wishers waiting to shake Adam’s hand as recognition that he did strike the chords that validated and inspired everyone in that huge auditorium. I know that this keynote was video taped. I only hope that in the spirit of sharing, so well highlighted in Adam’s address, that it is distributed by ISTE to be shared by all educators in an effort to advance all educators in connecting, sharing, teaching and most especially learning. 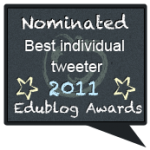 I will post the URL when I get it and if permitted, I will post it on The Educator’s PLN. Thank You Adam Bellow @Adambellow. This week I attended another international education conference – the Net.1 Conference (The 1st Annual Nassau Education Technology Conference.) It was the first of its kind to be held in the Bahamas. There were over 200 educators from the Bahamas and several other surrounding island nations. Often as American educators we are faced with the day-to-day problems of our own system and are unaware of the challenges and real obstacles faced by other countries as they also strive to educate their young. Many of the things that we take for granted are almost non-existent in some other countries. Poverty in any country seems to be the biggest obstacle to a proper education, but the problems of poverty in a poor country seems to compound the issues almost beyond solution. There is an evident commonality however that could be found in the passion for education in the hearts of all of the educators in attendance. They gave freely of their time to attend an educational conference that offered glimmers of direction, and possible advances in the face of almost daily defeats metered out by problems of distance, isolation, and infrastructure, too much of the first two and not enough of the third. The Net.1 Conference took place in a premiere school in Nassau, The Lyford Cay School. It is a K-12 school comprised of various freestanding Caribbean-colored buildings. It was situated within a gated community of multi-million dollar homes. It was most definitely not typical of the schools most of the educator attendees represented. Ms. Gaynell Ellis our Bahamian ambassador of good will, a technology visionary, and now a dear friend guided our tour of the community. The school was the obvious beneficiary of the opulence and wealth surrounding it through generous contributions and an active and involved PTA. I found the faculty members of this school who were the volunteer monitors for the conference to be most proud of their school and their students. The entire conference was a result of the efforts of that staff and foresight of their administrator, Dr. Stacey Bobo. Most notably among the organizers was a husband and wife team of educators from the school, Oscar Brinson Technology Director, and Mindy Brinson (@mbrinson) Technology Coordinator. The conference was built around networking time in order to stimulate collaboration amongst the attending educators. The vision of using instructional technology to advance education in the Bahamas was set during the keynote by none other than the Minister of Education, the Honorable Benjamin Fitzgerald. A wonderful addition to this conference was the addition of student presentations. Five, 15-year-old students from The Lyford Cay School did two of the conference presentations. The school is made up of 40% Bahamian and 60% international students. This group chose Social Media from a student’s perspective as their first presentation. These kids Texted, Tweeted, Tumbled, and Blogged with some of the best examples of their work out there for all to see. They answered questions, and offered opinions like pros. Of course not spell checking a PowerPoint presentation is almost a universal mistake even among seasoned educators that was overlooked by the audience in light of the quality and effort put out by these kids. I loved it. I invited these students to join me at my presentation on how educators are using social media for collaboration and professional development. Not only did their participation offer a great model on connected life long learning, they asked questions and offered opinions that enlightened the adults in the room. Again, I loved it. As students’ needs merge with the educators’ ability to provide solutions, it is becoming very evident that a change is essential. With the way that the world at large curates, communicates, collaborates, and creates in a technology- driven environment while reaching out globally, choices need to be made. An educator’s choice is to get on board, or get out of the way. Relevance comes with life long learning. Looking to the past to not repeat our mistakes is a fine practice. Living in the past to develop minds for the future may be one of those very mistakes we are looking to avoid. The steps taken by this small island nation of The Bahamas to provide its educators with the tools to enter and compete in a modern world of collaboration is a sign of the times. Of course that brings to mind, especially to the old folk out there, those visionary words of Bob Dylan… “And the times they are a change’n”. What’s An Education Thought Leader? The position of education thought leader is not a job that someone applies for. There is no “thought leader certification”, nor is there a license required for the position. It is also not a job that one applies for. 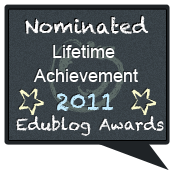 It is a title bestowed upon someone by other educators. 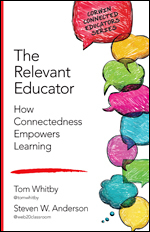 For many years the quickest path to become an education thought leader was to become an author on an education topic. There were also speaker bureaus that would, for a fee, supply education thought leaders as inspirational, or keynote speakers at conferences or schools. Administrators attending large conferences would often return to their districts with the names of thought leaders that they had met or listened to for the purpose of bringing them into their own district to inspire or teach their faculty. The process was fairly simple and understood by the people who controlled the policies and purse strings that secured the thought leaders for their speaking gigs. This was the way it was done for a long time until the computer slowly replaced the publishers’ self appointed position as the “determiner” of the thought leaders. The leaders group was not a large group, and very slow to grow. Consequently, it was possible to see the same thought leaders several times, not because he or she was outstanding and highly sought after, but available and affordable. The way to get to know the thought leader was to read the Speaker’s Bio in the program, and the author’s book. Although some of that process is still in place, today’s thought leaders come to us from many different paths. Technology and social media has connected educators in ways and in numbers that were never before available to us. Educators are reaching out through social media and sharing their experiences and their ideas with other educators for examination, as well as their own reflection. The ideas of individuals are the focus of the collaboration, and not the titles or credentials of the contributors. The author process for many educator thought leaders now often comes in reverse. After sharing ideas and gaining acceptance on a large scale through social media these educators are encouraged to become authors. It is now the masses of the social media that bestow the mantle of education thought leader. Technology can put up, for any individual brave enough to share it, an entire education philosophy in the form of a blog. It enables person-to-person contact for more in depth scrutiny. It has increased the number of education thought leaders, as well as the audience of educators they may affect. This is now all part of 21st Century education. Educators are far more aware of self-publishing and branding. The understanding of the digital footprint has become part of digital literacy. Gone are the days when educators could select whether or not to be involved with technology and its advance. Being an educator today requires us to be exactly what we want for our students to be; life long learners. Technology provides the tools to stay relevant and connected with our Education Thought Leaders. Collaboration in education is not a new concept, but the idea of using social media for collaboration in education is relatively new considering the age of our education system. Technology has only recently provided the tools to make this possible on a large, even global, scale. In order to successfully engage in this most recent form of collaboration two things need to be understood; the use of technology, and its applications designed for collaboration, and the culture of collaboration among those using that technology. Our most effective education collaborators and thought leaders seem to have a thorough understanding of both. Although sharing is the key element to collaboration there is more to it than just that. Feedback is important for additions and subtractions for improving ideas. If one is to be a successful collaborator then responding in some way to other educators becomes essential. Without responding, there is no collaboration. 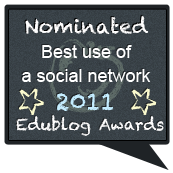 Discussion of ideas is made possible on several applications; the most used source for professional exchanges is probably Twitter, followed by Facebook, LinkedIn, and then any number of Ning Communities for educators with their Blog and Discussion Pages. 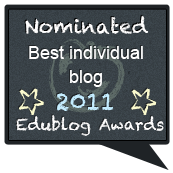 Commenting on Education Blogs is also another way to extend the collaboration, often in much more detail. Engaging in these practices will broaden the discussion of education among those who need the answers the most, the educators. Many education thought leaders are passionate about education and that passion is both needed and infectious. If educators just shared those passionate ideas with the people that they were connected with, we could have a movement. Never answer for the knowledge of another. You have no idea who knows what. Never assume everyone has heard about one subject, or another, or that they understand it in detail. Just pass along the information for them to decide. What information is important? Certainly any specific information pertaining to your field of endeavor would be important especially to those who follow you from the same field. Additionally, you should share general information pertaining to Education, methodology, pedagogy, the brain, research and any innovative education ideas. These would come in the form of links to websites, articles, blog posts, videos, podcasts, graphs, and also any other tweets educators may be sharing. A most important contribution is the sharing of successes in the classroom. Your successes may spark enlightenment in a number of other educators. Your successful everyday practices may be innovative to others. If we as educators made collaboration a common practice among all educators there might not be a need for a common core. Collectively we are all smarter than we are individually. Our common core would be developed by the connection and collaboration of educators. Educators could address their own concerns and professional development without interference by politicians and profiteers. It does require that we become involved in connecting with other educators in a supportive, respectful, collaborative way. Better education for students will be the direct result of better education for our educators.